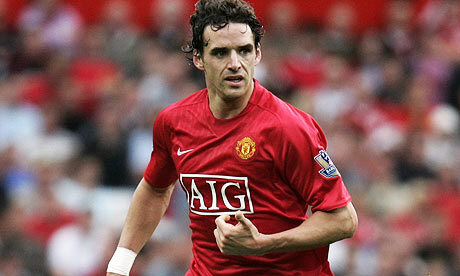 Manchester United midfielder Owen Hargreaves has been hit by another injury setback. The Daily Mail says Hargreaves' hopes of playing for Manchester United again have been dealt a crushing blow after he damaged his shoulder in training. The injury plagued England midfielder had put himself in contention for a return, only for his shoulder to pop out as he challenged for a header. The 30-year-old had X-rays and initial fears are that he has ligament damage and could be out for at least four weeks. wah this is even worse than darren "sicknote" anderton. Maybe he shd retire into the backroom. He won't be able to handle the rigours of the EPL.